Chenile Keogh is the founder and managing director of Y Books, one of Ireland’s leading general publishers. She has published numerous best-sellers and has a strong record of spotting and promoting fresh talent. With over twenty years’ publishing experience, Chenile has contacts in every area of the business, from top-level media to production and distribution. She is one of the most highly-respected individuals in Irish publishing and has established Y Books as a major player in ePublishing. Robert Doran is Kazoo’s editorial director. He has nearly twenty years’ experience in trade publishing in Ireland and the UK. Having worked extensively in editorial, project management and sales and marketing, he has a thorough understanding of the industry, from commissioning to bookselling. Robert has worked on many complex projects as a rewriter, editor, copy-editor and copywriter and is well known for his meticulous eye for detail and his exacting standards. 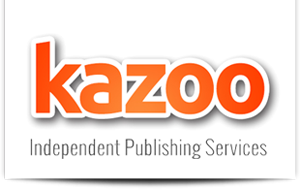 Robert heads a team of editors, copy-editors and proofreaders who are available to work with Kazoo authors.